Partly cloudy skies in the morning will give way to cloudy skies during the afternoon. High 74F. Winds S at 10 to 15 mph.. The Ford garage at the north east corner of Main and Park Streets had pumps along the sidewalk. From 1947 to 1981 the business was known as Kleeber Motor Sales. The Park Place Senior Apartments building now occupies the site. If names like the Kleeber Ford Garage, Reedsburg Woolen Mill or The Big Store bring to mind recollections of certain buildings, you’ve probably lived in Reedsburg for thirty years or more. If you don’t know where these places were, or what they looked like, you can find out at 6 p.m. Feb. 28, when Paul Wolter, Executive Director of the Sauk County Historical Society, presents “Lost Reedsburg” in the Reedsburg Public Library Community Room. According to Wolter, there is much to be learned not only from the historic buildings that still exist, but also from structures that have been razed or otherwise destroyed in the recent or distant past. The existence or nonexistence of a building points to forces that have shaped and changed our communities including economic forces, fires, natural disasters and changing tastes. In his presentation, Wolter will talk about thirty properties that have been lost, but whose existence were at one time of great importance to the community. Buildings in more recent memory include Reedsburg’s Woolen Mill, The Big Store and Kleeber Ford Garage, while places like the “Alba House” and the Reedsburg fairgrounds have been gone for quite a while. A fair question may be how the researcher may investigate buildings and businesses no longer extant. The answer lies in the examination of historic photographs, city and county directories, county histories as well as maps and “bird’s eye” drawings, comparing the information in them, and seeing how they evolve over time. The Sauk County Historical Society has 40,000 pictures and the Reedsburg Public Library also owns a significant collection of historic photographs digitized in 1999 by Sauk County Historical Society’s Bill Schuette. Lesser known sources of information may include Sanborn Fire Insurance Maps and “Birds’ Eye View” drawings. Sanborn Fire Insurance maps, compiled in the late 19th and early 20th centuries, included outlines of each building and outbuilding, the location of windows and doors, building material, as well as street names and addresses. Reedsburg’s “Bird’s Eye View Drawing” from 1874 gives a very early view of the city for comparison with later maps. The volume, “Reedsburg Remembers: 150 Years” has an extensive information on Main Street businesses compiled at the time of Reedsburg’s Sesquicentennial in 1998. Copies are available for checkout at the library. Come to the presentation “Lost Reedsburg” to remember, or just to learn, about Reedsburg’s rich history and the businesses and individuals who have contributed to it. There is no cost or need to register for the program. For questions, call the Library at 768-READ (7323). 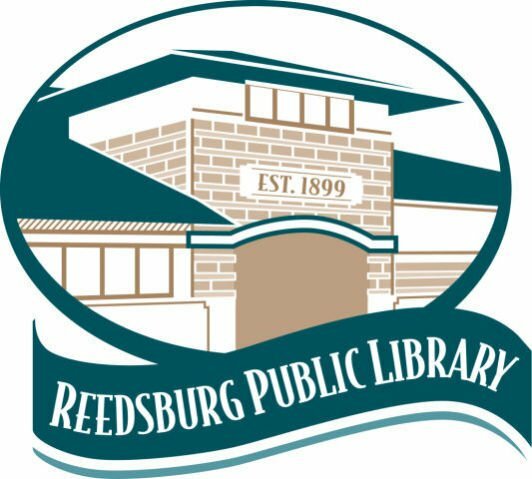 The Reedsburg Public Library is located at 370 Vine St. in downtown Reedsburg. The library is open 8:30 a.m. to 8 p.m. Monday through Thursday, 8:30 a.m. to 5 p.m. Friday, 9 a.m. to 4 p.m. Saturday and noon to 3 p.m. Sunday.